In an effort to meet production goals for its Model 3 sedan, Tesla has built a new assembly line outside its factory in Fremont, California. Building a vehicle assembly line outside a traditional factory is unprecedented in the auto industry, though the move has both positive and negative implications for Tesla, analysts told Business Insider. The new line is housed in an open-air structure that CEO Elon Musk referred to on Twitter as “a giant tent,” saying the assembly line was built in three weeks with “minimal resources.” Musk also said he preferred the open-air structure to the nearby factory building. The new assembly line comes as Tesla seeks to hit its goal of making 5,000 Model 3s a week by the end of the month. The company has repeatedly missed production goals for the vehicle since its launch in July. Building a vehicle assembly line outside a traditional factory is unprecedented in the auto industry, the Gartner research director Mike Ramsey told Business Insider. But the company’s use of an unconventional structure to increase production capacity isn’t necessarily a bad omen for Tesla. The company’s decision to build the new assembly line in a novel fashion has both positive and negative implications, according to the Edmunds senior analyst Jeremy Acevedo. 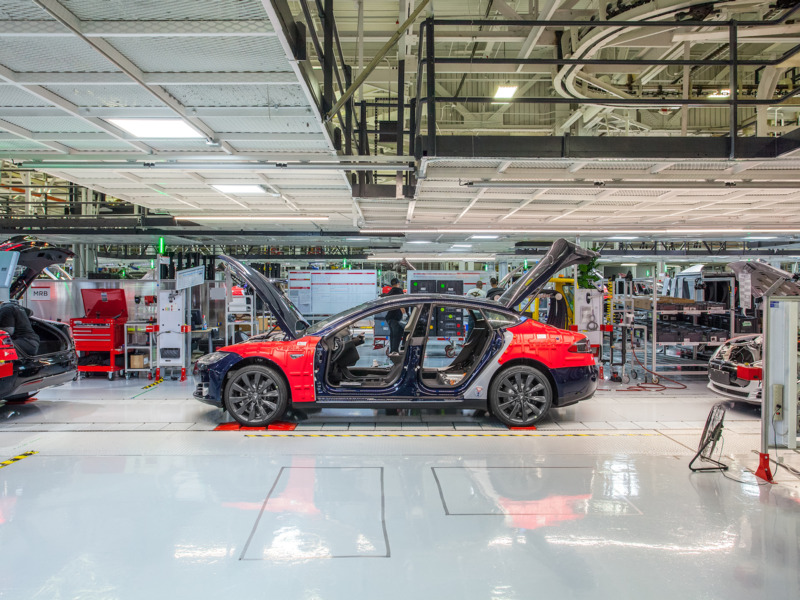 Ramsey, Acevedo, and the Kelley Blue Book senior analyst Akshay Anand said that despite its unusual nature, the new assembly line didn’t raise serious concerns about worker safety or vehicle quality. On Monday, the journalist Edward Niedermeyer posted photos of what appeared to be permits giving Tesla “temporary approval” for the tent and the equipment inside it for up to six months, which indicates that an independent body has at least reviewed Tesla’s plans for the assembly line. If anything, the new assembly line could raise concerns about the company’s priorities. While its ability to increase the rate of Model 3 production is an important metric for shareholders and financial analysts, Anand cautioned the company against prioritising quantity over quality. “I would rather see [Musk] produce 4,500 a week and have there be absolutely no issues with the car than produce 5,000 a week and have there be issues with the car,” he said.